ALL OUR ANIMALS AND BIRDS ARE CAPTIVE -BRED IN THE UK. ALL OUR BIRDS ARE TRAINED TO A HIGH STANDARD, WE DON'T USE ANY BIRDS THAT ARE 'HAND-ME-DOWNS' OR PRE-TRAINED BY ANYONE ELSE. 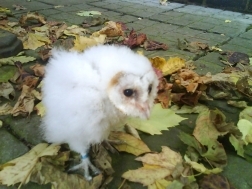 DUE TO THEIR PSYCHOLOGY, OUR OWLS ARE HAND REARED IN MY HOME FROM AROUND 10 DAYS OLD- THUS IMPRINTING THEM ONTO HUMANS. 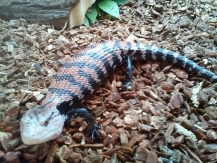 MY EXOTIC ANIMALS AREN'T JUST A RANDOM COLLECTION, EACH CREATURE HAS IT'S PLACE IN THE TEAM- USUALLY BASED ON ITS EDUCATIONAL VALUE, HOW INTERESTING IT IS AND HOW IT BEHAVES WHEN TOUCHED AND HANDLED. MOST OF THE EXOTICS ARE TAME AND CAN BE TOUCHED AND HANDLED BY STRANGERS. CLICK ON THE 'MEET THE..' BUTTONS TO SEE SOME OF OUR COLLECTION, HOWEVER THIS COLLECTION IS ALWAYS GROWING SLOWLY... SO KEEP AN EYE OUT FOR NEW TEAM MEMBERS. 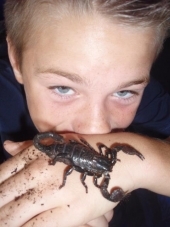 * my son Kyle holding his pet scorpion-Please note, Pupils will not be permitted to hold any creatures capable of stinging,such as Gertrude the scorpion!